Anti-static, acid-resistant and flame retardant hood (when attached to MASCOT® Lungern jacket). Attaches with hidden press studs. Canvas structure.The product will retain its qualities for a maximum of 25 domestic washes. Anti-static, acid-protective and flame retardent. 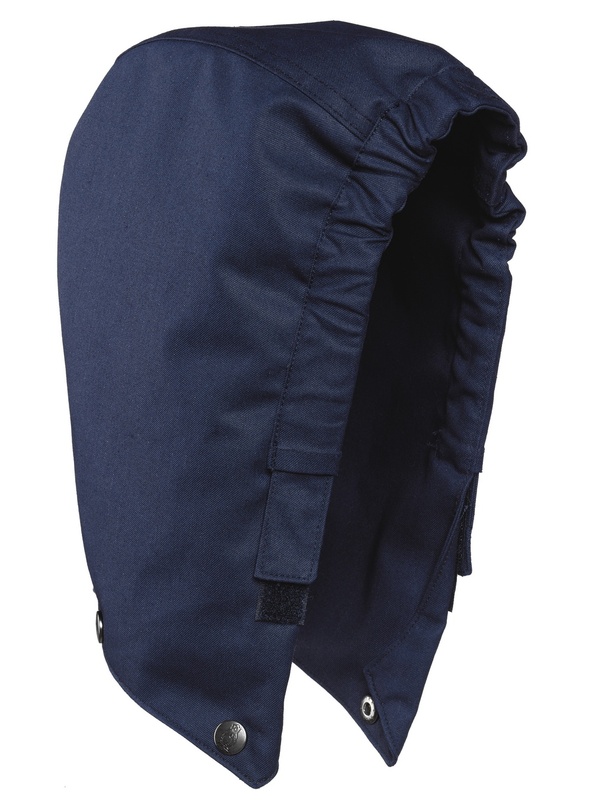 Properties are achieved when the hat is attached to the multiprotective MASCOT® Lungern jacket. Breathable, wind and waterproof. Taped seams. Lining edge is adjusted with elastic and hook and loop band fastening. Attaches with press studs (hidden).